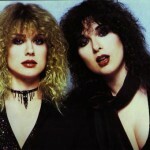 Combining the talents of sisters Ann and Nancy Wilson, Heart found success in the mid ‘70s by combining pop with elements of hard rock and heavy metal. 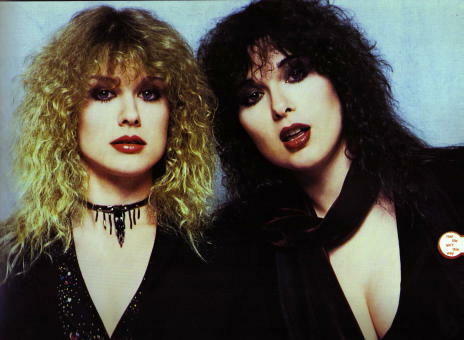 Their 1975 debut album, Dreamboat Annie, came roaring out of the gates with the hit singles “Crazy on You” and “Magic Man,” which Heart followed up with 1977’s Little Queen and the hit “Barracuda.” After a slight decline in popularity, Heart made a major comeback in the ‘80s with the rock ballads “What About Love,” “These Dreams,” and “Alone,” all classics that can still fill arenas and sound amazing on vinyl. Now into their fourth decade together, Heart is still going strong. PROMO 60s GARAGE 45 RPM - THE SORROWS - WARNER BROS. 5662 - "TAKE A HEART"
The Blue Ridge Rangers w/ John Fogerty - Hearts..- German Picture Sleeve PS 7"
Heart - Little Queen - LP PR 34799 EX/NM!